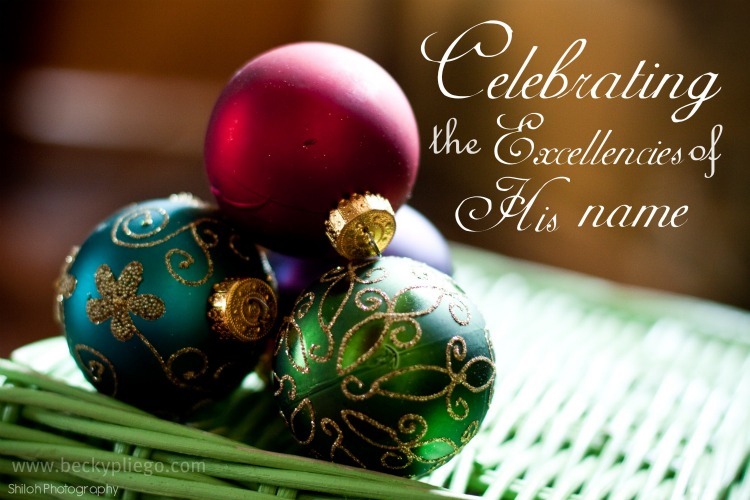 This is the season of the year when we purposely meditate on the coming of this child, Jesus. It is a time of great joy because we know that He has come to save His own and our natural response as Christians is to praise Him. To celebrate all of who He is. 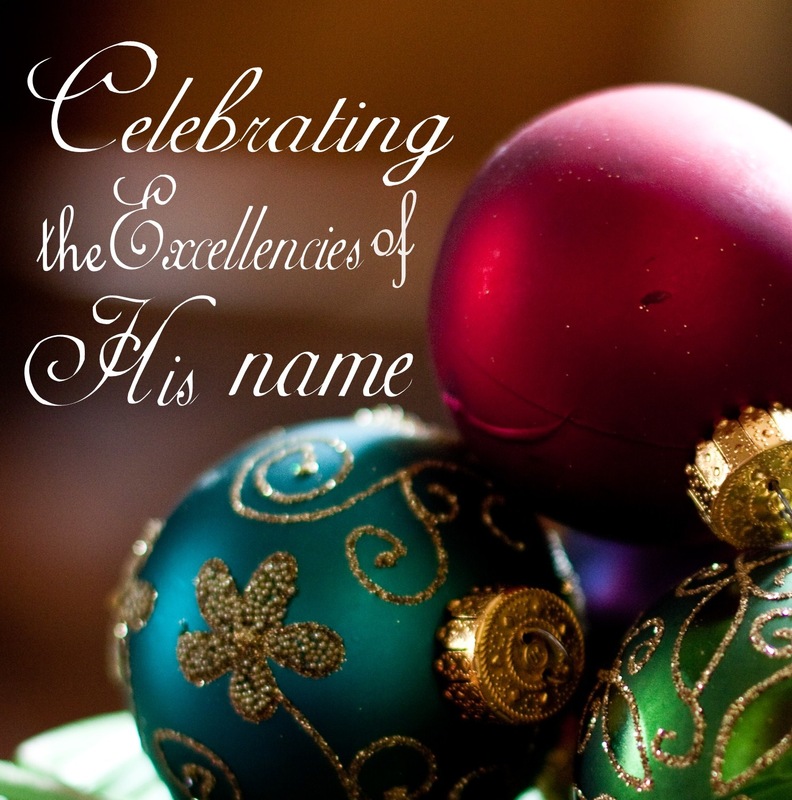 During this Advent season, we want to invite you to join us in considering and celebrating the excellencies of the names of our Lord. We want to see Him fully, closer as if to say; we long to know Him better, to worship and love Him more. And we will do this by studying His names. Each of His names, reveals part of Jesus' identity; each name tells us something about the One who has come to us; each one tells us of His majesty, His Divinity, His purpose. Each one of His names "possess profound significance and unfading glory" (1) . Oh that we may know Him more! "Each title embodies a distinct meaning and illustrates a particular truth, the significance and preciousness of which the Holy Spirit can alone unfold and the believing heart alone appreciate.... the titles of our Lord are wonderful." "The titles of Christ are so many motives or arguments fitted to persuade men to come unto him." "Jesus Christ is a wonderful, a glorious person. His names and titles are as important as they are significant. Every one of them is as ointment poured forth. His people sit under His shadow with great delight, and His fruit is sweet to their taste. To them He is altogether lovely." Dear friends, let us pray that this Advent we may be drawn closer to Him, that our faith may be strengthen as we see all that He is as revealed in the Scriptures, and in His names and titles; Oh that we may be drawn by the Spirit of God to praise Him even more. Praising Jesus, our Everlasting King! Thanks to my friend Rachel who has contributed to this series with her beautiful photography and creativity by making the beautiful header image. Thank you, Rachel! Make sure to visit and follow her photography blog and her blog with yummy recipes. Find the index of this series here.